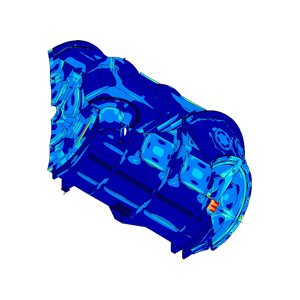 FEA-Solutions (UK) Ltd - Finite Element Analysis For Your Product Design | 410: Polaris Vacuum Tank Half model of a large vacuum tank for a research project. Three design iteration have been analysed, each implementing modifications based on the FEA results of the previous version. Extensive physical testing on the completed vessel confirmed that the analysis was correct.